V/Q mismatch is a confusing subject because the terms “dead space” and “shunt” are not very intuitive definitions. Moreover, there is a lot of confusion in textbooks and online from what I’ve seen. I read Marino’s The ICU Book and several articles on Up-to-date and came up with this outline that I think will be helpful for residents like myself. In essence, V/Q mismatch is a spectrum: with dead space (no perfusion) and shunt (no ventilation) on either end. Some other people tell a narrative of V/Q mismatch vs. shunt (but that to me seems imprecise). Some pathologies have a primarily dead space defect problem, and therefore oxygen can help; other pathologies have a primarily shunt defect problem and therefore oxygen cannot help. Memory cue: When I see DEAD, I think NO BLOOD = DEAD LUNG. There is SPACE, because alveoli are ventilated and open. 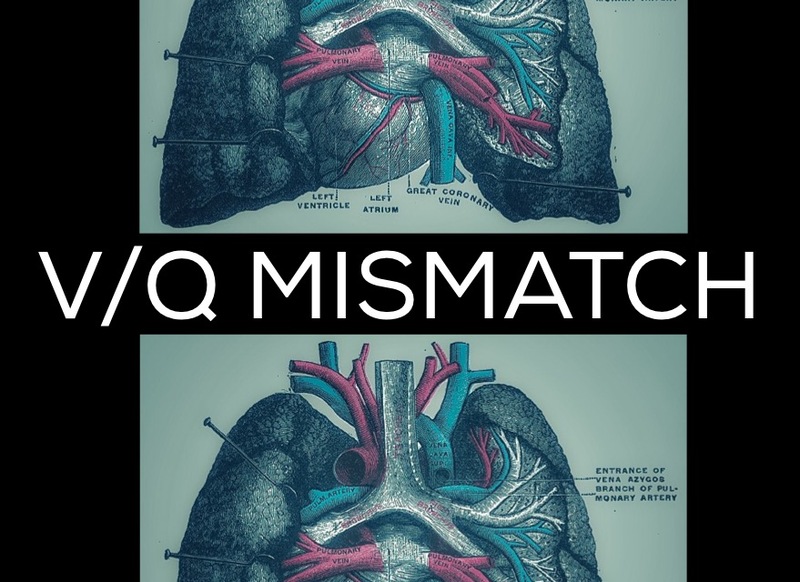 One Response to "V/Q Mismatch & Hypoxemia"
Thank you so much this was so helpful. Im in nursing school and this has been such a confusing topic to study!!!! !